Following our comprehensive marketing of Reef Estates’ boutique Sevenoaks development, The Pembroke, the private property development and investment company turned again to GQ for a new refurbishment project, this time in Battersea. 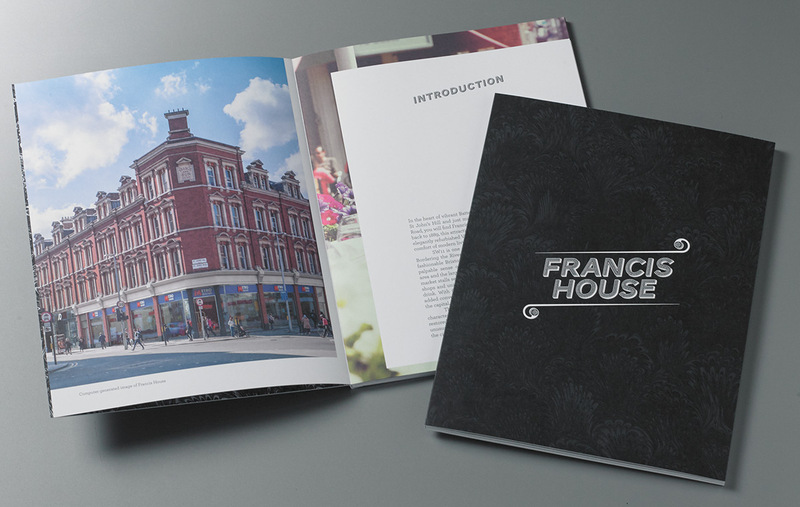 For the 19th Century Francis House, we created a brand that evokes the Victorian character of the building in an elegant and contemporary way. The responsive single screen website is sleek and stylish, with slide in navigation and parallax scrolling background images, whilst the lay flat brochure features high end CGIs and beautiful location photography.